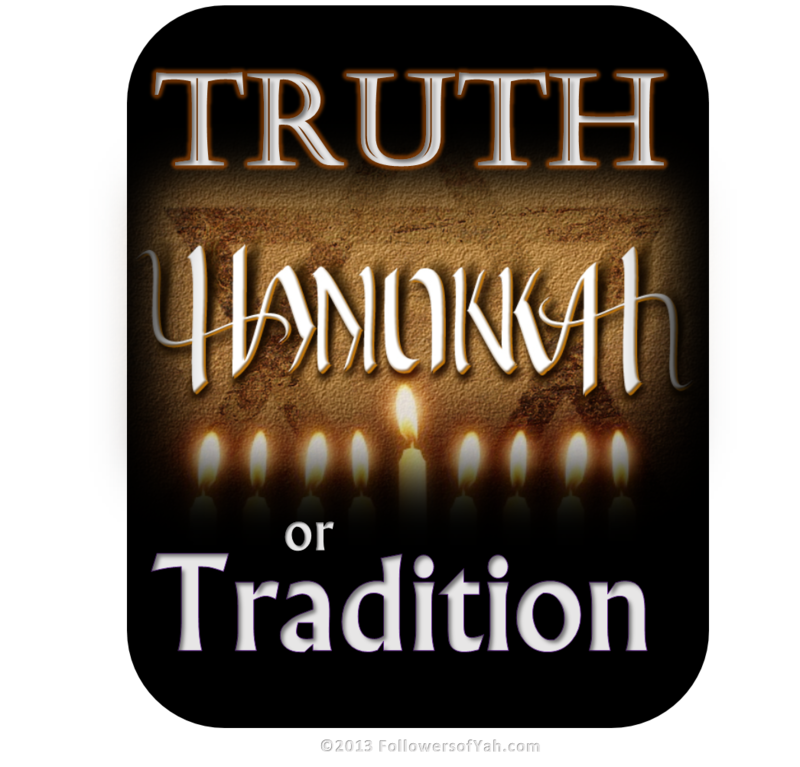 Hanukkah – Truth or Tradition? Whenever anyone mentions the word ‘Hanukkah’, the immediate thought is centered around a Jewish feast that is celebrated around the time of Christmas. According to Jewish teaching, this feast must be observed from the 25th of the 9th month, which is known by its Babylonian name Kislev, for 8 days. While this has become possibly the most important time of the year for orthodox Jews, many who have come out of mainstream Christianity in order to walk in the Torah and learn their true Hebraic roots, find themselves being emotionally attached to this feast of Hanukkah, and look to Rabbinic sources to find out how they are to keep it. Should this feast be kept or not? Is this feast centered around traditional commands of men or is it Scripturally commanded for us to observe? 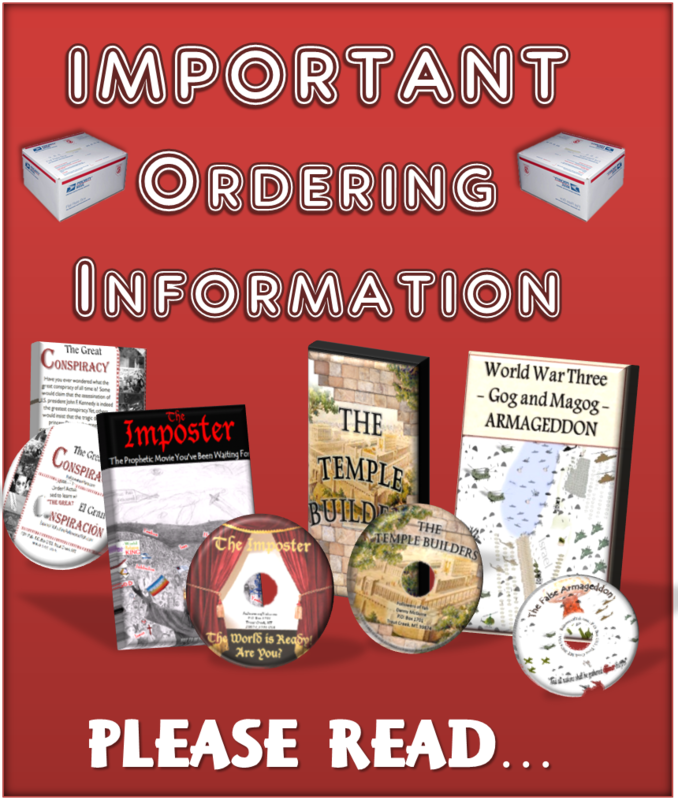 I hope to dispel any doubts that some may have regarding this feast, and answer some questions on the origin of this feast and whether the adopted customs are to be observed or not. 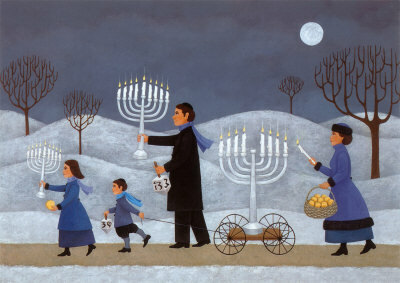 For most who have an idea of what Hanukkah is about, will most probably tell you that it centers around a miracle of how a small amount of oil lasted for 8 days in keeping the Menorah alight, at the time of the rededication of the temple, after the Maccabean revolt against the Greeks, and there is a tradition of lighting candles each night. What about this summary is true and what is tradition? In order to do that, it is always best to look at the writings we have available to us that describe the details of the events that center around this feast, which also became known as the festival of lights. The historical event that culminated in what is known as Hanukkah, is clearly outlined in 1 & 2 Maccabees, which was recorded within a couple of decades after the events that took place. 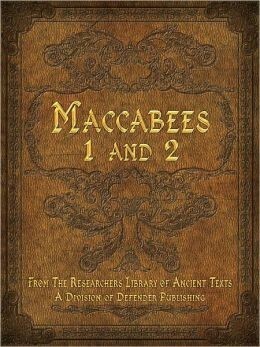 1 & 2 Maccabees are parallel accounts, believed to have been written by two different authors, who describe similar events. The story begins in 168 B.C.E (Before the Common Era), when the land of Yisra’ĕl was being ruled by the evil Seleucid Greek king Antiochus IV. In order to carry this out, the first thing the Greeks did was capture the temple and sacrifice pigs on the Slaughter-Place to their pagan god Zeus. 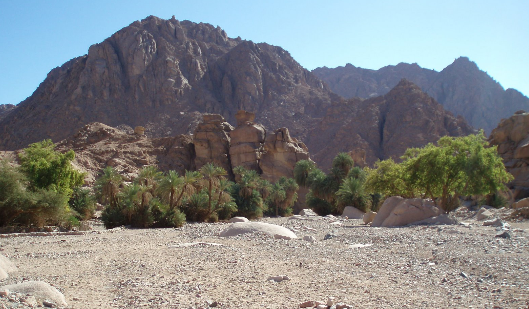 They then forced each Yehuḏi home set up an altar to the Greek sun-gods at their homes. Public altars were set up all over the city and Yehuḏi were forced to eat pigs that were sacrificed to Zeus. It was on the 15th day of the 9th month (Kislev) that the abomination of desolation was set up on the Slaughter-Place in the Temple. 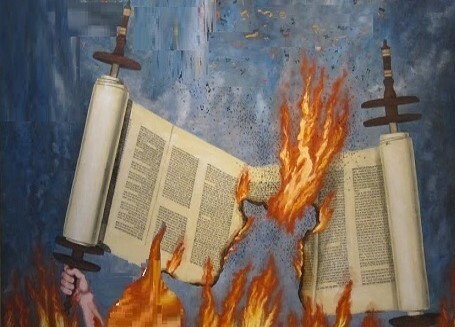 They then destroyed and burnt any Torah writings that were found and on the 25th day of the 9th month they sacrificed a pig on the Slaughter-Place of Elohim. They hung the children and killed all who had circumcised them. Many Yehuḏi chose not to eat pig and profane the Covenant, and chose to rather be put to death instead of being Hellenized. In those days there was a priest from a small town in Shomeron whose name was Matthias (Mattithyahu), son of Yoḥanan, who along with his sons tore their garments and lamented the invasion of the Greeks and the desolation of the Temple; and when the Greeks came to their town Matthias and his sons gathered with all the people of the town, and they openly refused to submit to the Greeks and would not forsake the Torah of Elohim, and called all who were zealous for the Torah and held fast the Covenant of Elohim in order to faithfully follow him. He and his sons then fled to the mountains, and they became outlaws. 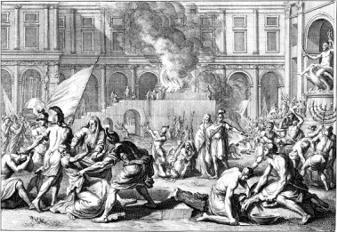 The Greeks pursued many who had fled to the wilderness, and came to fight against them on a Sabbath and killed a thousand people, who refused to lift a stone on the Sabbath against the attacking Greeks. Matthias heard about this and mourned. Matthias and his sons then resolved to stand up and fight and went around breaking down all the abominable slaughter places that had been set up by the Greeks, and he recovered the Torah from the Greeks. When it came for Matthias to die, he told his sons to be zealous for the Torah, and be ready to give their lives for the Covenant of their fathers, as he reminded them of the faith of Aḇraham, Yosĕph, Pineḥas, Yehoshua, Kaleb, Dwiḏ and Dani’ěl, encouraging them not to be afraid of sinful men. He then made his son Yehuḏah Maccabaeus their captain, and commanded them to observe the Torah and avenge the wrong of their people. Yehuḏah Maccabee then rose up and became like a lion avenging his people, and grieved many kings. 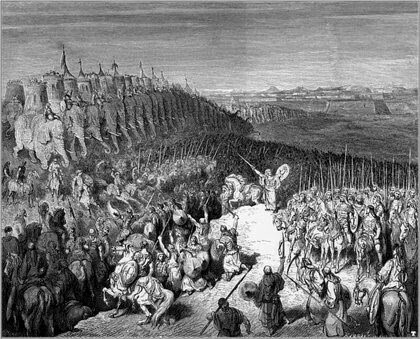 After 3 years of intense fighting against the Greeks, Yehuḏah Maccabee and his army defeated the Greeks and took back the Temple. After mourning and fasting over the defilement of the Temple they tore down the abominable slaughter-place to Zeus upon which pigs were slaughtered and proceeded to cleanse the Temple. 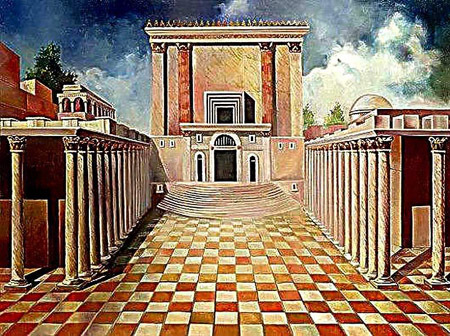 After they had restored the Temple, it was time to dedicate it and make it fit and clean for service, and re-establish the sacrifices that had not been done for the 3 years that the Greeks had defiled the Temple. This re-dedication of the Slaughter-Place took place on the 25th of the 9th month – 3 years to the day after the Greeks had defiled the Temple by offering a pig on the Slaughter-Place. As we see these words contained in 1 & 2 Maccabees, we need to make a couple of observations that will help us discern between what happened historically and what is being celebrated as a tradition today. One of the most notable things that we should see here, is the clear fact that no mention of oil and the miraculous supply of oil that supposedly caused the Menorah to burn for 8 days, nor the making of an 8 or 9 lampstand. 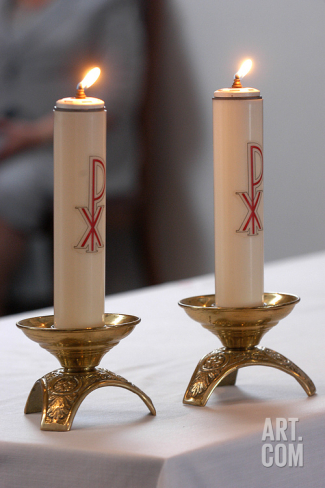 The Lamps and lampstand is mentioned, yes, as well as the table of showbread and other utensils that were restored in order to perform the Scriptural requirements in the Temple service. What is very clear is that there is NO MAGICAL OIL!!! These accounts contain the most detailed records of these events and with there being no mention of what many have been taught to believe, leaves us with a very big question of where this ‘traditional story’ of the miraculous supply of oil comes from, as being the central theme, according to tradition, of this modern day feast! The whole reason for this great celebration and dedication that took place, was for the dedication of the Slaughter-Place, and the fact that they could enjoy this time of feasting and celebration like the Feast of Sukkoth (Tabernacles), which they had not been able to celebrate correctly for 3 years due to the Greek oppression and defilement of the Temple. This celebration and ‘dedication’ had nothing to do with oil or its supposed miraculous supply, but rather had to do specifically with the ‘dedication of the Slaughter- place’. The Hebrew word for ‘dedication’ is חֲנֻכָּה ḥanukkah – Strong’s H2598 both meaning, ‘dedication, consecration’, and corresponds to the Aramaic word חֲנֻכָּה ḥanukkah – Strong’s 2597 which we find being used in the book of Dani’ěl. These two words are collectively used 12 times in Scripture. The Aramaic word is used twice in Dani’ěl in the wicked kings call for the dedicating of his wicked image, and twice in Ezra when the Temple of Ělah was dedicated. 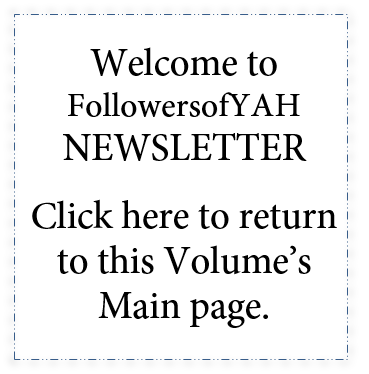 The Hebrew word is used 8 times in Scripture – 5 times in direct reference to the offerings of dedication, and consecration brought for the slaughter place, and twice it is used for the dedication of the walls of Yerushalayim, that was done with great joy; and once it used as a title of a Tehillim/Psalm at the dedication of the House of Dawiḏ. As we read above from 1 Maccabees 4:56, they celebrated the dedication of the Slaughter-Place for 8 days, and not the miraculous provision of oil, that many focus on today according to traditions that have been taught! 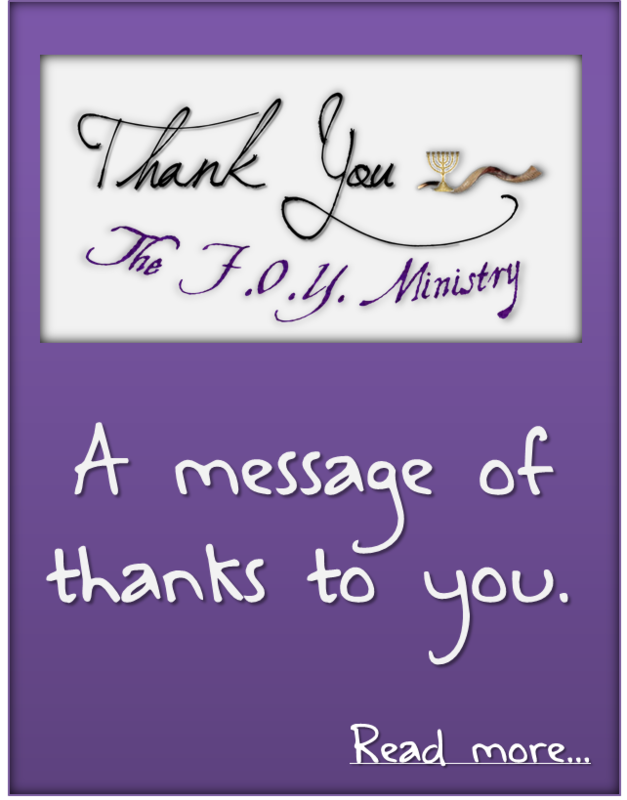 When we ask why the dedication lasted 8 days, we need to see how this was a joyful response at wanting to dedicate the Slaughter-Place and give thanks to Elohim, in celebrating this dedication the way they would celebrate Sukkot/Tabernacles – as we clearly have read that they celebrated with palms, branches of trees etc., and did so with great rejoicing – for Sukkot is a commanded feast for rejoicing, which too lasts for 8 days (the command is to dwell in Booths for 7 days and on the 8th day have a closing ceremony). The Slaughter-Place was dedicated for 12 days! Shelomoh had performed the dedication for 7 days and then they held the Feast of Sukkot (Tabernacles) for 7 days, and after the 8th day of Sukkot (Tabernacles) he sent the people away to their tents. Please note, in Wayyiqra/Leviticus 23:34 that Sukkot (The Feast of Tabernacles) is commanded to begin on the fifteenth day of the seventh month and is to last 7 days and in Wayyiqra/Leviticus 23:26, there is an eighth day. The twenty-third day of the seventh month would have been the last of Sukkot (The Feast of Tabernacles). In all of the 4 accounts of dedication we have in Scripture in regards to the Slaughter-Place or Temple or walls, we find that these dedications were not done according to a set number of days, or at a specific time. What we do see in Scripture, however, is a repeated picture of dedication or renewal of covenant often taking place in the 7th month, which pictures for us the fullness of YAHUWAH dwelling with His restored people! According to Maccabees this feast of dedication was done with the intention to make up for the Feast of Sukkot which had not been properly kept. The question we must ask ourselves is whether or not this can stand as a mandated feast for us to follow? Should we, as Followers of Yah really be celebrating any holiday that YAHUWAH himself did not command us? In The Torah we do have the instructions regarding those who are able to perform the Pěsach (Passover) in the second month, yet does this standard apply to other feasts? 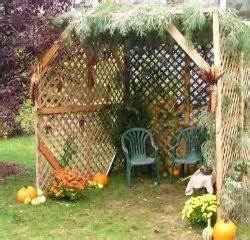 The Maccabees had missed Sukkot, and in a manner of speaking they held a ‘second Sukkot’, which we can clearly see was done with great joy in celebrating a great win over the enemy. The month of ‘Kislev’, as it was known from the Baḇylonian exile, as I have already mentioned, is the 9th month! Does this instruction from Yehuḏah Maccabee have the authority to change the Appointed Times of YAHUWAH? The answer is absolutely NOT!!! Here we clearly see, once again, that this dedication was referred to being like the Feast of Sukkot/Tabernacles, and had nothing to do with a miraculous story of oil that lasted 8 days! In the years that followed, when they were able to keep Sukkot in the correct month – that is the 7th month, the Yehuḏim continued to keep this feast of dedication and even referred to it as ‘2nd Sukkot’, or ‘Sukkot in the month islev’. Did the Maccabees have a right to establish such a feast? This was one of the sins of Yaroḇ’am that provoked YAHUWAH! Yaroḇ’am established his own feast just one month after Sukkot, while the Maccabees had their second Sukkot 2 months and 10 days after the Appointed Time, which has no Scriptural precedent for them to do this! We certainly recognize that this was the first time that they could actually perform a festival to YAHUWAH, after being under the wicked control of the Greeks. Justified or not, it is very clear that the 8 days celebration was a substitute for the feast that they had missed! Does this establish a lawful precedent, or do we adhere to YAHUWAH’s Appointed calendar – I think that the answer is fairly obvious at this point. At the time of Josephus, this festival became known as the festival of lights, and what we can notice here is that Josephus says nothing about a miraculous oil that lasted 8 days, but rather says that this may have been called ‘lights’ because of the freedom that was brought to Yisra’ĕl after an oppressive time! By the style of his writing, we can see that he is not really sure why it was called lights! The first time we see any record of Hanukkah having anything to do with a new kind of Menorah and the miraculous supply of oils is in 200 C.E. as contained in the Baḇylonian Talmud!!! Special Hanukkah lamps have their origin in the Baḇylonian Talmud too!!! “The rabbis taught: The law of ‘Hanukah demands that every man should light one lamp for himself and his household. Those who seek to fulfil it well have a lamp lit for every member of the household. Those who seek to fulfil the law in the best possible manner should light according to Beth Shamai the first night eight flames, and every following night one flame less. And according to Beth Hillel the reverse–the first night one lamp, and be increased by one on each succeeding night. 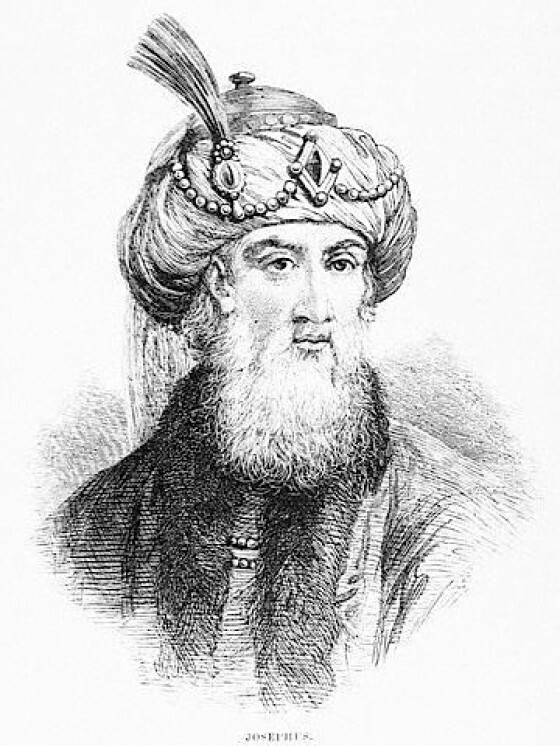 Said Rabba b. b. Hana in the name of R. Johanan: “There were two sages in Zidon; one did according to the decision of Shamai’s school, and gave the reason that the ‘Hanukah lamp is to be lit in the same manner as the sacrifices of the feast were offered, and the other according to the school of Hillel, with the reason that holy actions should show (emblemize) increase and not reduction. The rabbis taught: It is a merit to put the ‘Hanukah lamp on the outside door of the house; and he who lives in an attic puts it in a window that opens into the street. 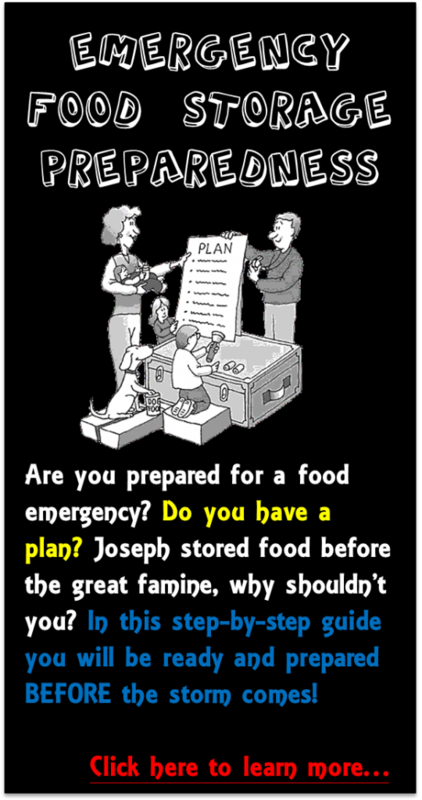 In time of danger, however, it is sufficient if the lights are on the table. Said Rabha: In the latter case another light is required to work by; but if there is a hearth-fire in the house, it is not necessary. However, if the man is of high standing (and not in the habit of working by the hearth-light) he must have another lamp. What is ‘Hanukah? 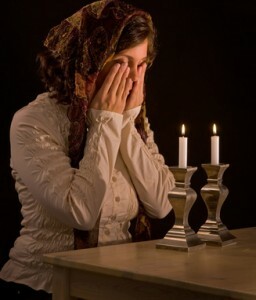 The rabbis taught: “On the twenty-fifth day of Kislev ‘Hanukah commences and lasts eight days, on which lamenting (in commemoration of the dead) and fasting are prohibited. When the Hellenists entered the sanctuary, they defiled all the oil that was found there. When the government of the House of Asmoneans prevailed and conquered them, oil was sought (to feed the holy lamp in the sanctuary) and only one vial was found with the seal of the high priest intact. The vial contained sufficient oil for one day only, but a miracle occurred, and it fed the holy lamp eight days in succession. 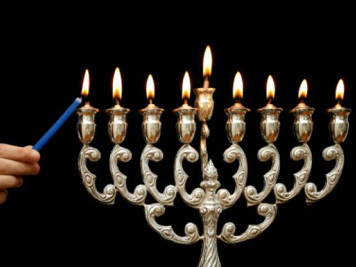 These eight days were the following year established as days of good cheer, on which psalms of praise and acknowledgment (of G-d’s wonders) were to be recited.” (Babylonian Talmud, Tractate Shabbat, page 21b) -reading on one can see the many burdensome laws and traditions of the Hanukah light. 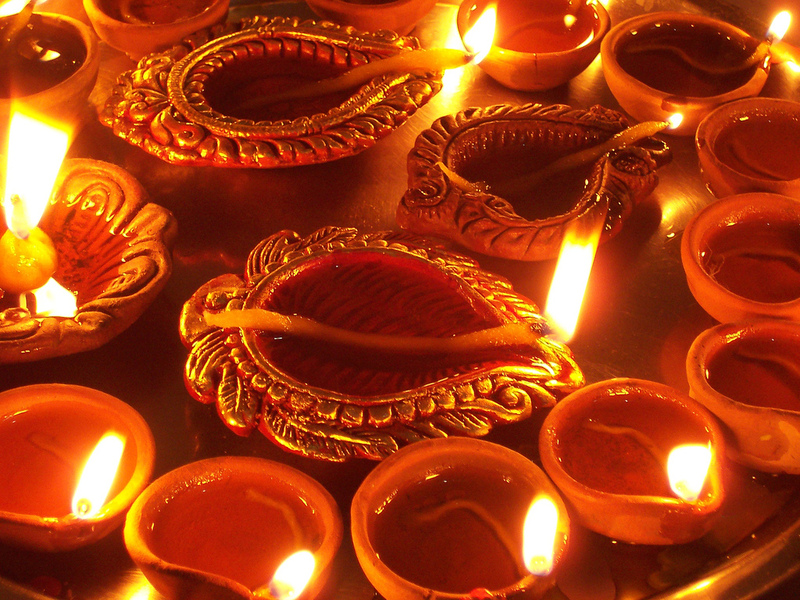 When we consider this ‘festival of lights’, we can so easily be steered toward the influence of many pagan worship practices that are also referred to as being festivals of lights – Hindus celebrate Diwali (festival of lights) and much of modernized Christmas celebrations that are centered around lights, have their roots in ancient Roman pagan worship rites. 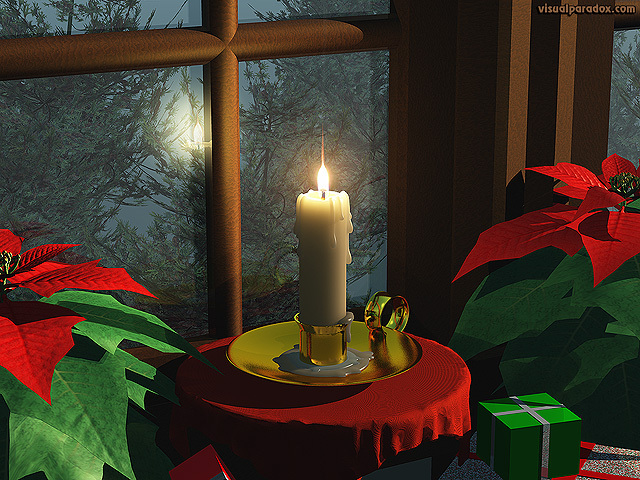 There are even the many pagan influences of the specific practice of candle lighting! Birthdays, Halloween, Kabbalistic Worship of Candle light on the Sabbath, Witchcraft, Christmas tree candles, etc. 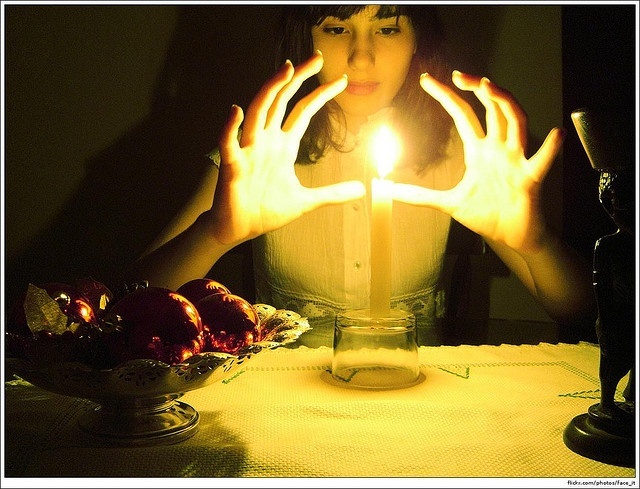 Here is some quick information on the pagan practice and tradition of lighting candles. 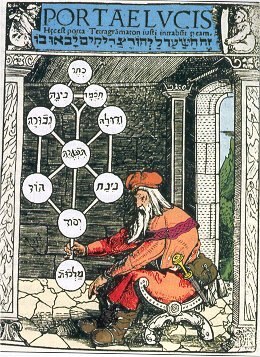 This practice originated from Jewish Mysticism, known as Kabbalah. Baruch atta Ado-noy Elo-hai-nu Melech ha’olam asher kid-sha-nu b’mitz-vo-tav v’tzi-vanu li-had-leek ner shel Shabbat Kodesh. [Blessed are You Lord, our G-d, King of the universe, who has sanctified us with His commandments and commanded us to kindle the light of the Holy Shabbat]. One might wonder, where is this command to light Shabbat candles before the Shabbat? Video link: Unavailable for privacy reasons. A former African witchdoctor who practiced witchcraft for over twenty years said that demons are attracted to the substance candles are made out of. Candles were a part of his witchcraft. It does not matter what color, shape, or smell they have. When lit, the smell of the candle also calls on another big time demon. Let it also be noted the real reason for placing candles in the jack-o-lantern on Halloween. 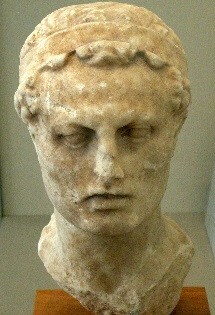 Not only was it thought to ward off evil spirits, but it was the mark of the demons. 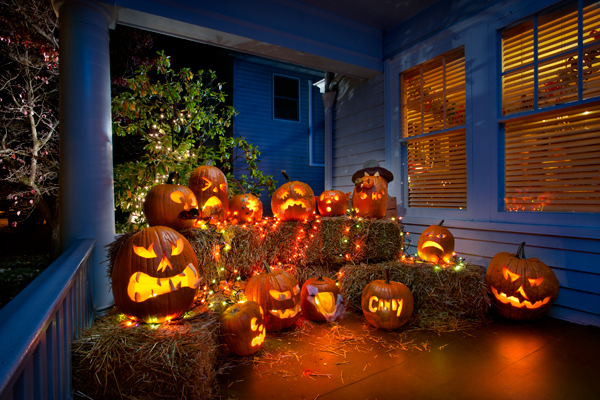 According to the rituals of Halloween, if one had a pumpkin on their porch it was a sign for the demons that they have already came to that house and the wax in that candle was of the fat of the child that was sacrificed from that household! 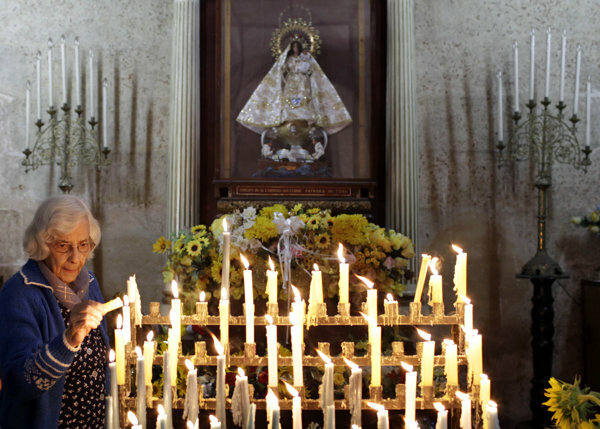 Sounds similar to the many candles that can be found adorning the idols in the Roman Catholic Church. This modern adaptation of a feast, Hanukkah (and Purim) that became established at the command of man has, through the traditions of man, become festivals that do not reflect the work of Messiah, nor acknowledge that He is the perfect sacrifice and the true Light of the world! So, why would He celebrate the Feast of Dedication? He is the True Temple and condemned the old temple for destruction. So why would we honour the wrong temple? For that matter, why celebrate a temple that no longer exists and that Messiah condemned to destruction and replacement? Should Ḥanukkah, a man-made holiday whose basis is given from one excerp within the Talmud and a fleeting, uncertain reference within scripture, be equivalent to an Appointed Time of YAHUWAH? 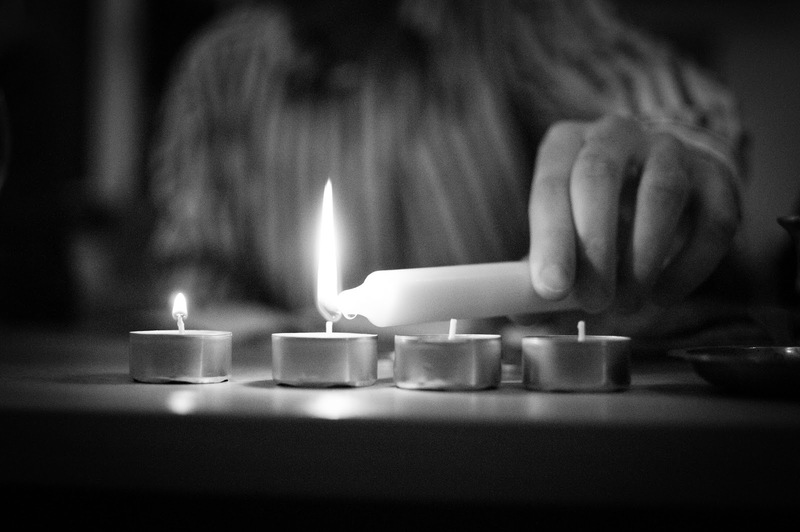 Should Ḥanukkah hold any position in worship? Which are beneficial, YAHUWAH’s Word and His commands, or man’s traditions that are taught as teachings? 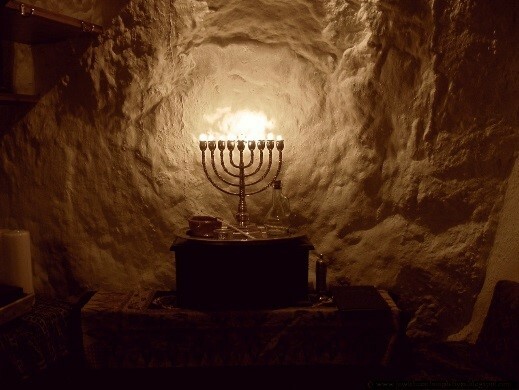 Does Ḥanukkah depict YAHUWAH’s Salvation Plan, or teach believers about YAHUSHUA through the historical evidence we have? 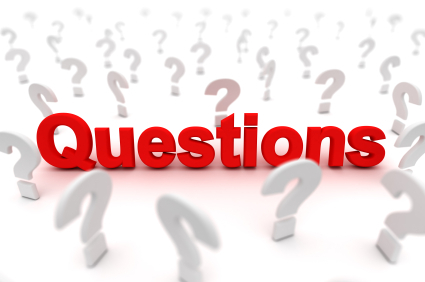 Are we to follow men in partaking of inherited rabbinical leaven? While many may be emotionally offended at the presentation of this article, I simply want to highlight a sobering reality that we have inherited many vain traditions that have been established as being more relevant than the Word of Elohim, and it is time for the true worshippers of Elohim to worship in Spirit and Truth. As you read through Yoḥanan/John 10 and see the words that YAHUSHUA Messiah spoke to the Pharisees and hypocrites at the temple, one does not have to look to far and see that He was not celebrating this feast with songs and praise, but rather He was clearly rebuking the religious hypocrites, who sought to stone Him for ‘making Himself Elohim’! While we certainly can see how the Maccabees had a great victory against the Greeks in a partial fulfilment of Dani’ěl’s prophecies, we also can bring to remembrance many great victories over the enemy that we see recorded in Scripture, and we are able to give thanks to Elohim who fights for us and gives us great examples for us to remind us of this fact, yet we must not add to or take away from His Word. Sadly this feast of lights has grown in depravity over the centuries and today it has become nothing more than a substitute for Christmas, and the customary celebrations of this feast are based on the traditions of man as taught through the Talmud, written and taught by those who deny YAHUSHUA Messiah! This is NOT a Feast of YAHUWAH! 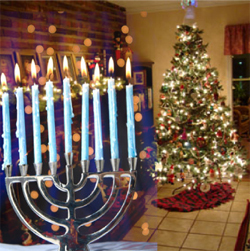 ḤANUKKAH – TRUTH OR TRADITION? Who are you listening to? This entry was posted in 2013 Archives, Nov/Dec 2013 on December 12, 2013 by Followers of YAH. For me before your extensive research and in my opinion, your presentation is a very well guided by YAHUWAH’S Ruach ha Kodesh,,,,Yahuwah gave us the instructions of 7 appointed times or Moadim,,, Why we would add something to it? We should dedicated ourselves to YAHUWAH & YAHUWSHUWAH everyday. The appointed times are YAHUWAH’S!! APPOINTED BY YAHUWAH. How else can that be anything else? Not for anyone who love YAHUWAH to ADD, therefore, making it as a extention of YAHUWAH’s INSTRUCTIONS in a sneaky way. Why did it happen to Yahudah? Maybe because YAHUWAH said so. In lament terms, “We sinned or not with Yahuwah’s righteous ways….we’re in trouble”. We ask for forgiveness and we normally would go into trials, to prove if we are worthy of really being in Yahuwah’s Reign, as Yahushuwah had mentioned. As we sinned, we expect the loving Hand of Yahuwah to spank us to redirect us to his righteous path. We as believers, would ask for forgiveness and go through trials of proving that….We really mean it! A dedication. Well done on this one, Followers of YAH. Keep up the good work. Remind ourselves NOT to COMPROMISE, just to get along. Set apart, yet diplomatic, for the Christians, for most of us if not all, were Christians. As Messianic believers, which I prefer just believers, we have differences too. Which we would rejoice to be reconciled when Yahushuwah comes back. YAHUWAH baruk us all who knows His and His Son’s name!! Thank you for your comments. I greatly enjoyed reading your words of great wisdom. I am thus reminded that in Shemoth 32:5 we read how Aaron made a proclamation that the next day would be a FEAST day to Yahuwah. Many people died the next day. A heavy lesson us called out ones need to take heed to. We cannot claim that such in such day is a Feast unto Yahuwah because it seems or feels good. If it is not found within Lev. 23 then one would be adding to the word! Some didn’t like this article and found it quite offensive actually asking us to remove it! But it will stay up. I like you long for the day when we will be reconciled with Yahushua and know all matters. Yes, this research is absolutely what my wife and I have discovered also. Hope you are having a bless day. Thank you for being a second witness to this. So happy you and your wife have discovered these truths also. Both Hanukkah and Feast of Tabernacles point to YAHUSHUA, and He is the Center of these. As He is with Passover. This is what I observe. Hope you are having a bless day. Thank you for your comments. 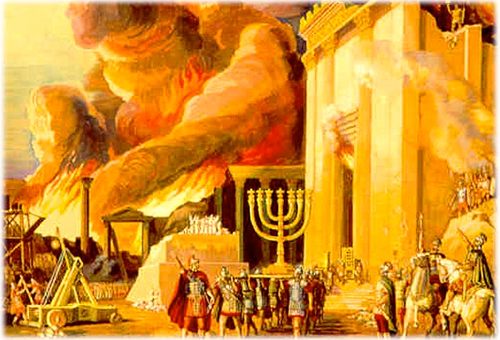 What is interesting is during the Feast of Tabernacles they also held the ‘dedication of the Temple’. Please see Numbers 7:11, 2 Chronicals 7:8-9. The article talks more about that. Yahuwah’s appointed times (Lev. 23) and how these Feast’s have been and will be fulfilled is amazing! I wondered about this. Thank you for your research on this subject, I never felt comfortable observing Hanukkah so I don’t though I had read articles that as I now see were able to twist Scripture to make it seem to be valid. This was a very interesting article. Again thank you for bringing the facts to light. Hope you are having a bless day. We are happy to hear you have been blessed by the article. Thank you for your comments. Hope you are having a bless day. Yes indeed man made traditions have been a strong hold on many. I have taught this same thing for years!! It so nice to know that more are on the same page. Hope you are having a bless day. So good to know that many are waking up in this great hour. Keep up the good work that you are doing.What have you found are many people receiving your information or have they rejected it?